The Bovada BDPO 2015 Series is split into two separate series the Contender Series and Championship Series. There is over $4 million in guaranteed prize pools spread across 200 scheduled poker tournaments. The BDPO Contender Series is scheduled from February 17 to March 11 with a million in guaranteed prize pools. 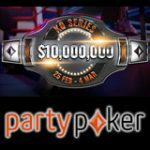 The BDPO Championship Series runs between March 12 and April 2 with over $3 million guaranteed. 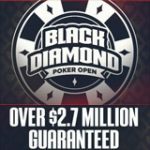 Get your seat to the Black Diamond Poker Open by buying in directly or qualifying through daily satellite tournaments which are available now in the poker lobby. 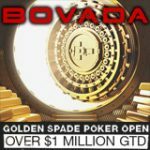 New players get up to $1,000 bonus when making their first deposit at Bovada. 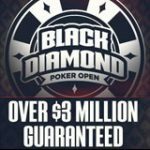 The Black Diamond Poker Open offers a great selection of online poker tournaments that will suit all players from Micro to High stakes. 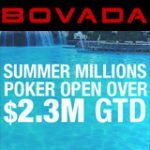 The Bovada BDPO Series starts with the Contender Series, 100 micro to low stakes events. The Championship Series takes place directly after with another 100 events aimed at mid-high stakes players. 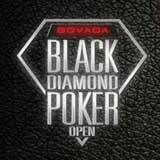 Download Bovada Poker and play the 2015 Black Diamond Poker Open series. Players can buy-in directly on the day of the tournaments or qualify through the many satellite tournaments which will get your seat to the action for a fraction of the direct buy-in amount. There are thousands of BDPO qualifiers available in the lobby qualify for all events in the series. 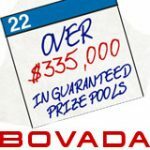 New players can sign-up and get a $1,000 poker bonus when making their first deposit at Bovada Poker. Double your first deposit up to a maximum of $1,000 with a matching pending bonus from Bovada. USA poker players are accepted to play for real money excepting from US states where online poker is licensed and regulated like: Nevada, New Jersey and Delaware. Canadian poker players can enjoy the same promotions and tournament schedule by playing on the Bodog Poker software.